Rejuvenate Your Relationship: Part 3 - Have An Eternal Impact! Healthy marriages are incredibly important. The ripple effects of unhealthy relationships are broad and deep, adversely impacting husbands and wives, children, friends, and society as a whole. Fortunately, there are several actions we can take to repair, strengthen, and grow our marriages. My challenge to you is to discuss and incorporate these practices into your marriage. 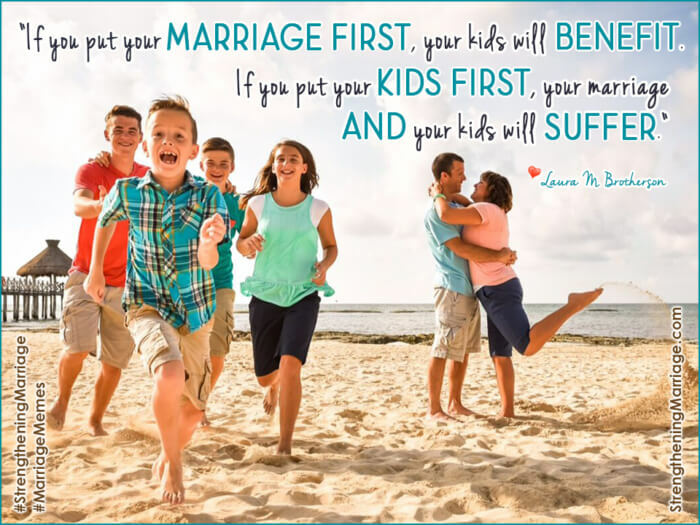 Put Your Marriage Before Your Kids. Remember the pre-flight announcement during your last trip? “In the event of a loss of cabin pressure, an oxygen mask will appear . . . If you are traveling with a child, secure your mask FIRST, then assist the child.” There is a natural, maybe even instinctual inclination to prioritize your role as parent over your role as spouse. However, consistently de-emphasizing your marriage could damage both sets of relationships. How do we modify our interactions with our spouse to ensure he/she is prioritized while continuing to parent well? We discussed several ideas in our last two articles: Date nights, learning each other’s Love Languages, investing in our marriages, and seeking God together. Other ideas include consistent (and early) bedtimes for the kids so you have time together, and counseling if you are beyond what you can handle.